What is your ringtone? Questions on your ringtone habits. The discussion over at a recent post on custom ringtones led me to want to ask you folks about your ringtone habits. 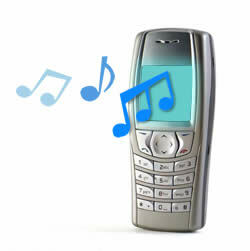 What ringtone are you using? Do you use custom ringtones or just the default ones? Do you modify your tones for messaging/email/alarm? When was the last time you heard someone else’s phone ring with the Nokia tune? « Software Updates to Symbian S60 3.2 and 5.0 – Anna Browser and new Ovi Maps!